The Falzarego is the perfect climb for people like me who are considered ‘passistas‘. So, what is a ‘passista‘? Actually, one of the best italian passistas was Francesco Moser, a quality time trialist and a great spring classics specialist. Then, how can a climb be good for this kind of cyclist? 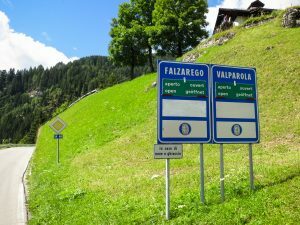 Well, Passo Falzarego has a beautiful, easy grade at the beginning with maximum gradients approaching 7% on a few straights. Plus, the hairpins have a gentle 4%. This means that you can gain some speed on the first few hairpins for the upcoming straight, until the next hairpin comes along. This is precisely why Passo Falzarego, ridden from this side, has always been my favourite training climb. But, it’s not like that all the way to the top. You’ll enjoy gentle gradients for about the first 7 km. After that, the hairpins will still have a manageable gradient but the straights start to be longer and steeper. At this point of the climb you’ll notice a change in the vegetation that surrounded you during the first part of the climb. You’ll see a mountain wall in front of you, with a road built and dug out of the dolomite rock. If you look up ahead, you’ll see the Lagazuoi peak with a gondola station at the top. Follow the ropes (if you can see them) of the gondola to the valley – that’ll give you an idea of where Passo Falzarego ends. This is without doubt a terrific place to ride because no other Dolomite Pass takes you as close to dolomite limestone as this one. It takes you so close that you actually go into the mountain because one of the Passo Falzarego hairpins is carved out of the stone. Once you’re through the tunnel, you are exactly 900 meters away from the top of Passo Falzarego. On this part you’ll hit some nice 10% gradients until you reach the valley station of the Lagazuoi gondola. 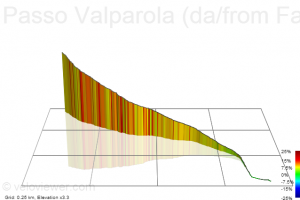 Use your wildcard…take on Passo Valparola, too! 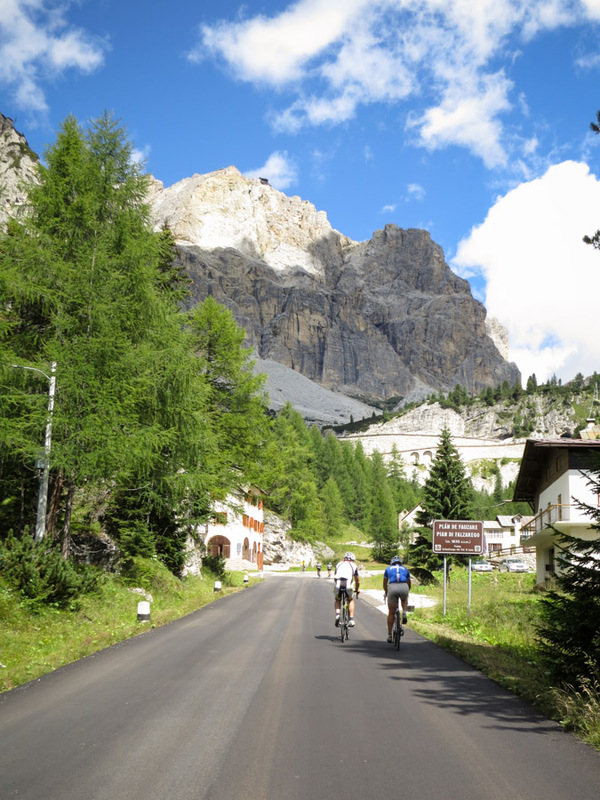 Once at the top of the Falzarego you can go down directly to Cortina d’Ampezzo or, if you’re riding one of our suggested loops, you’ll notice that there’s another (little) steep part missing. 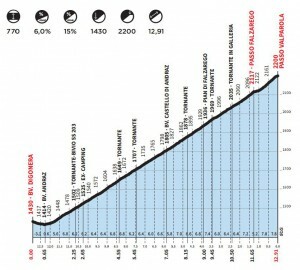 It’s the final ramp towards Passo Valparola where you will hit the 15% grade. It’s only 1.2 km long but, if you’ve run out of gas, this part will seem endless. Due to the conformation of the pass, it’s also impossible to see where it ends, so I have a personal tip for all cyclists climbing it. After you’ve left the gondola parking lot behind, you have a long straight in front of you. On the left of it you will see a huge stone that is approximately the height of a 3-storey building. There are 3 of these stones one the way to the top. 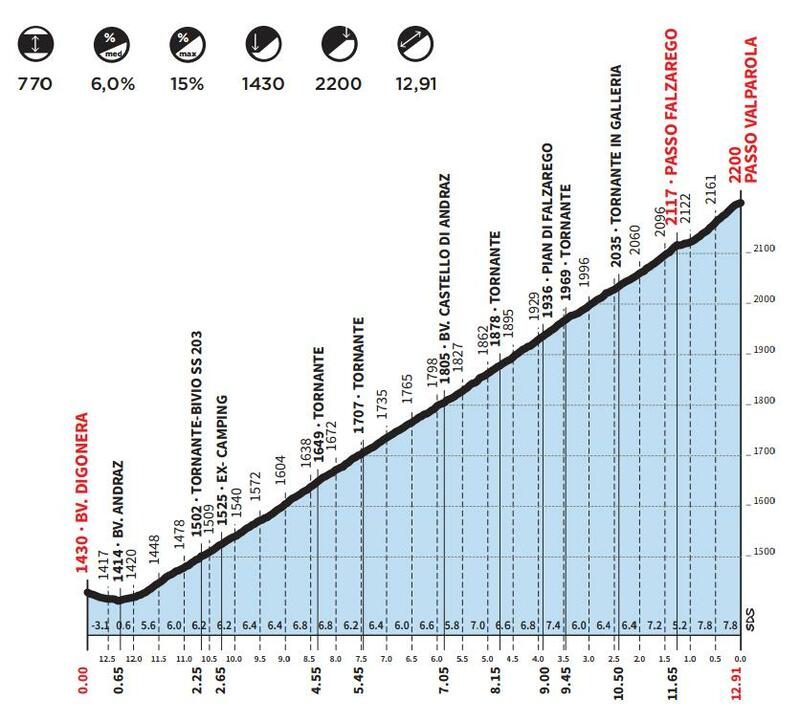 Once you reach the first one, you’ll see the next one, and the 3rd one is exactly at the top where you finish on Passo Valparola. That’s a nicer countdown than looking at your cyclocomputer. Have you ever ridden this climb? What were your thoughts and feelings while climbing? Just did falzarego and valparola today. Nice ascent, steady gradient. The final km to passo valparola is bit tough. The descent from valparola to la villa is great at the beginning, good road with lots of visibility, long rideable corners, u get to go fast if u dare..